When it comes to performing atomic level experiments, the surrounding atmosphere must be as quiet and lifeless as possible. 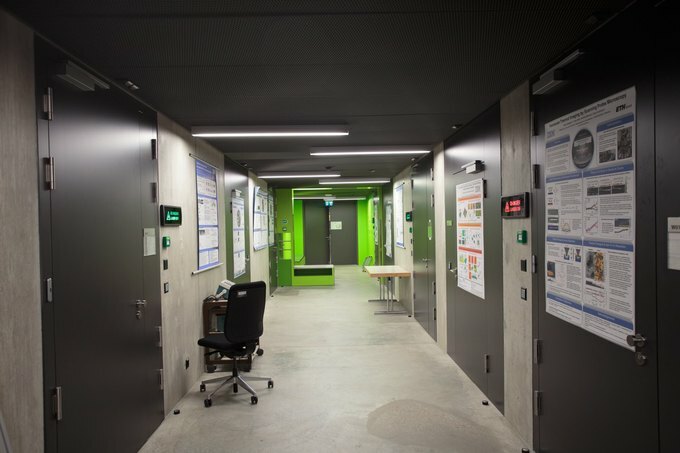 Enter into the Binnig and Rohrer Nanotechnology Center, which lies deep underground several miles outside the center of Zurich, Switzerland in Rüschlikon. This 6-room bunker was built with the specific goal of performing simulated atomic experiments. The Center is built on the bedrock, which blocks out any vibrational interference. Every room is surrounded by a nickel-iron box, which blocks out any cell phone capabilities. The project was a joint venture between IBM and ETH Zurich and cost approximately $88 million to build, plus $29 million for equipment. 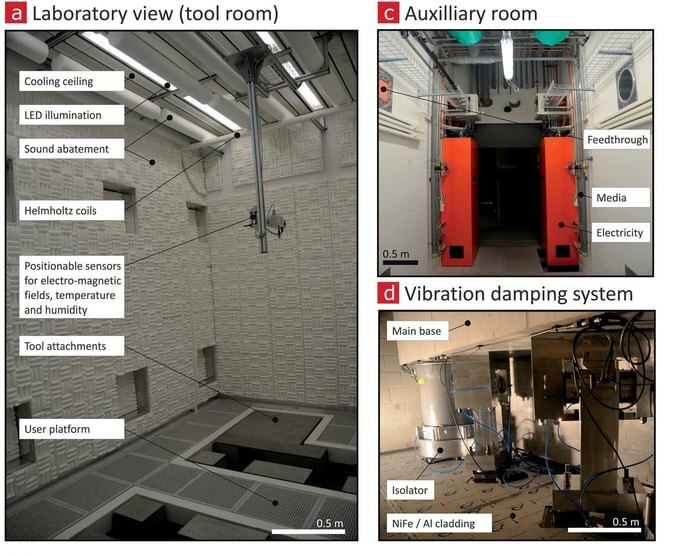 Even the humans and equipment reside in separate rooms, as humans give off heat and project noise which also interferes with the accuracy of nanoscale experiments. The air conditioning is quiet and necessary to keep the temperature stable, set at 21 degrees Celsius with a stability of 0.01 degrees per hour. The entire complex is lit with LED lights which give off a minimal amount of heat. In addition, each room has three Helmholtz coils placed on the X, Y, and Z axes. These are conducting devices used to regulate the magnetic fields in the room. The transmission electron microscope, or TEM, functions on the same principles as a light microscope but uses electrons. 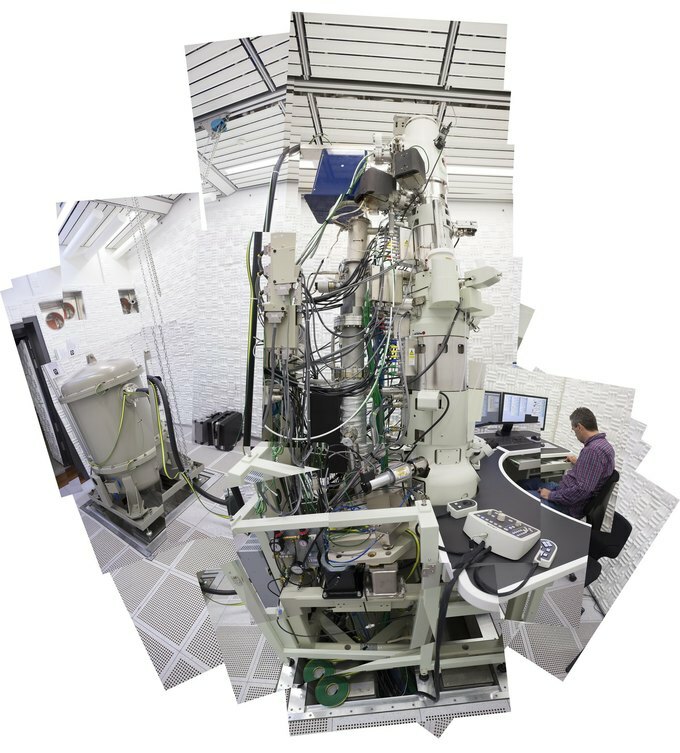 The scanning electron microscope has many applications such as analyzing bullet fingerprints, paint fibers, and gunshot residue. Gerd Binnig was a German physicist who won the Nobel Prize in 1986 for his invention of the scanning tunneling microscope, which views surfaces at the atomic level.